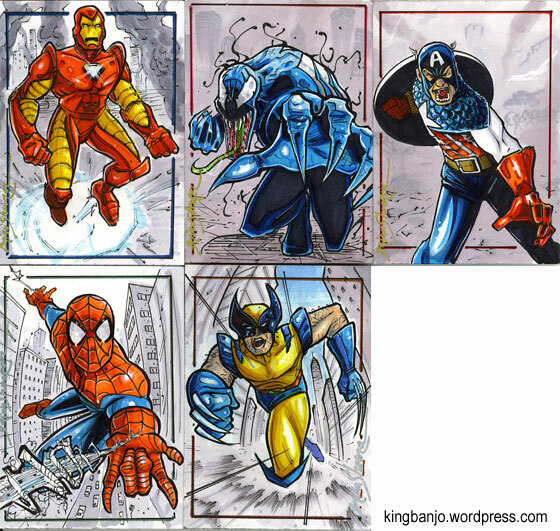 Here’s a set of 5 sketch cards I did last week. Wolverine, Captain America, Venom, Iron Man, and Spider-man. I tried to tie these together with similar backgrounds. I think my favorite thing about them is the city behind Venom. I like how the cool gray markers faded into the warm gray giving it a sense of rising up in the distance. Here are the 3 cards I did live on uStream last Wednesday. I’ll be doing it again this Wednesday at 8pm Eastern Time. Me and the guys at Tsunami Studios are doing our annual trip up to Richmond to the Virginia Comicon the weekend before Thanksgiving. This year we’re doing a promotional poster for the show. 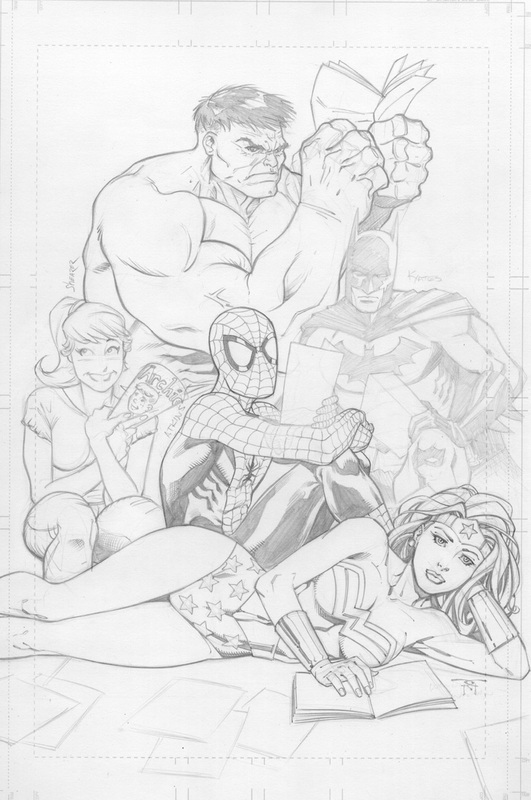 Robert Atkins laid out it out then finished Spider-man. Randy Green did Wonder Woman, Kelly Yates did Batman. I did the Hulk and Betty. 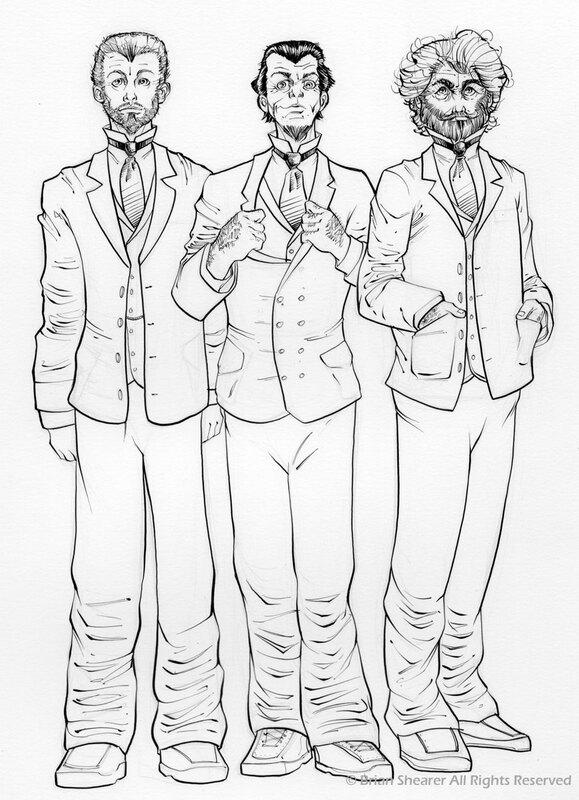 It’ll be inked and colored this week. Can you name the inspiration for the design? The final version of this was color with a brown colored pencil. If I can find the disc that has that file on it, maybe I’ll upload that one too. Thanks to all of you who stopped by to chat while I worked on sketch cards last night. I had fun, and think that I’m going to make it a regular Wednesday night thing. Every Wednesday ad 8pm Eastern Time. I only had 4 gray markers and one light blue one. Fortunately there was a request for Aalya Secura…the blue Jedi. Here are the what the cards look like finished. 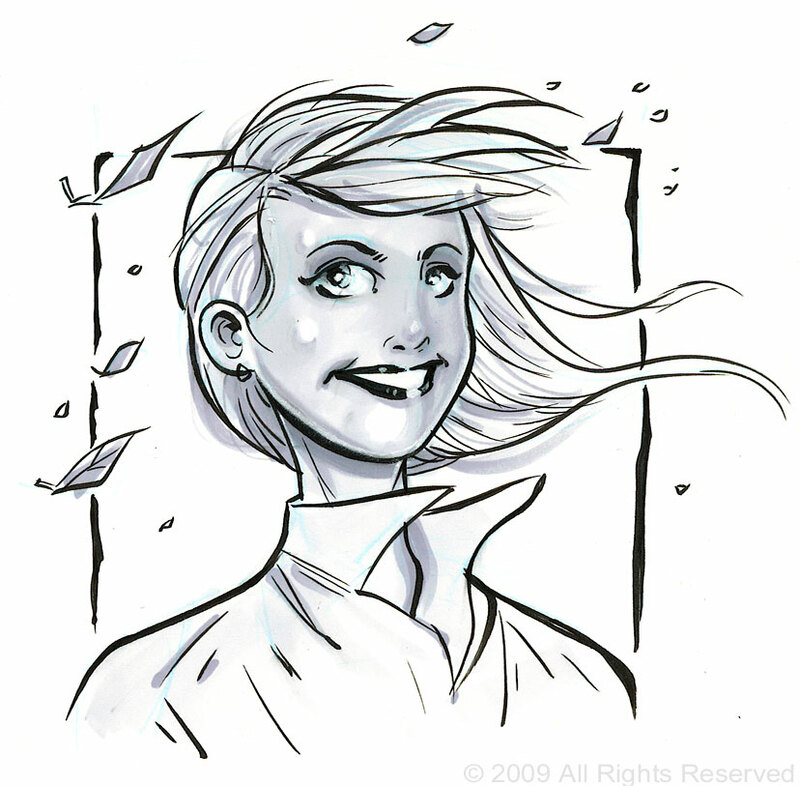 Tonight at 8pm EST I’ll be doing live sketching on uStream. For those of you who are into that sort of thing.